Seasickness. Long days. Trawls that happen at night. 24 sampling timepoints! Low tides!! Going out in the field is, probably unarguably, one of the best things about research*, but there are a lot of inconveniences to contend with. One of the most valuable things a colleague taught me before a six-week research cruise was to stock up to be able to bribe people to help with certain tasks. I’m not talking about monetary bribes though–what could money get you when you’re on a ship or out at a remote field station? No, much like Aztec societies, ship- and research-station-bound societies use chocolate as their currency. In Aztec society, one cacao bean could buy you one tomato (which made me wonder why they didn’t choose tomatoes as currency instead…but I guess cacao beans are a lot less juicy and prone to leaking on things); 3 could get you a turkey egg; 30 beans would buy you one small rabbit. I don’t know quite what the currency conversion is for a field station, but I will say that, armed with milk and dark chocolates, with or without almonds, I was able to get help with late-night sampling, proofreading papers, helping to build field equipment, and I was able to “pay” helpers to come with me for fieldwork. 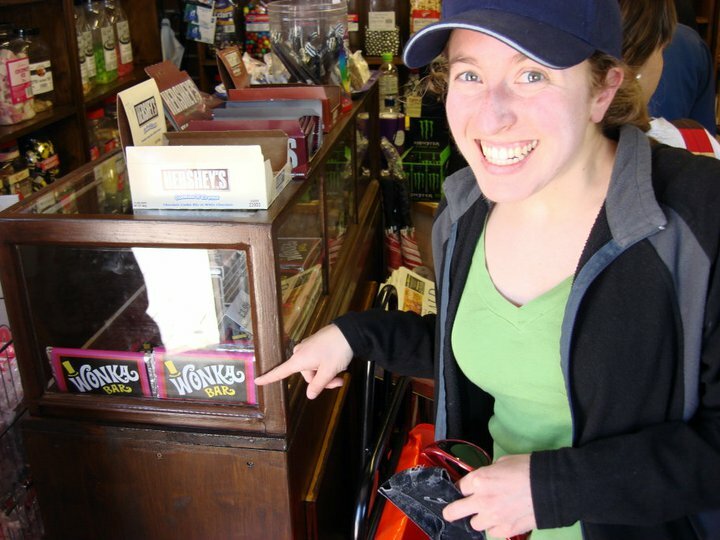 You can buy Cadbury Dairy Milk, bulk candies, and a few other chocolate bars at the East Side store, and the West Side store has varied chocolate bars, candies, and Ritter Sport bars. My supervisor knows the value of chocolate too: we brought a whole box of various candies on our research cruise last year, which kept the ROV pilots (and everyone) happy. To me, chocolate is one of those essential things to pack in a field research kit. 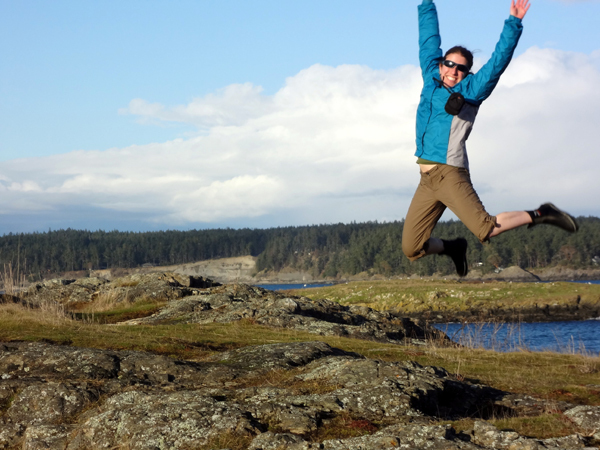 *Field work is one of the best things about research, along with lab work, analyzing results, figuring out methods to test your hypothesis, developing hypotheses…it’s all kind of awesome, to be honest. This post empowers free access to ice cream cones for all. You’re welcome. Unlike when one takes a course or the Fall Program, there is no orientation for researchers coming out to BMSC. When I arrived for the first time, I did not know what the different buildings were called, whom to talk to if seeking out supplies or equipment, or what resources were available when I arrived. One of the goals of this blog is to serve as a repository of information, tips, and procedures for working at BMSC. 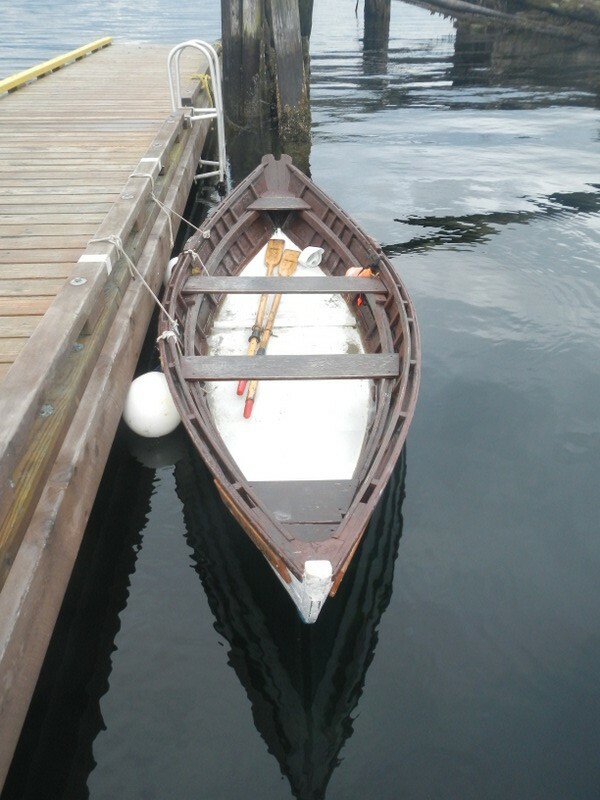 When I first arrived in Bamfield, I heard people mentioning taking rowboats across the inlet to the West Side. I figured that I wouldn’t need such a thing–the whole station is on the East Side, and there is a store on the East Side fulfilling any needs I might have. However, over time it became apparent that a trip or two to the West Side would become necessary, especially once I learned that the Bamfield General Store serves ice cream cones in summer. Many of the locals live on the West Side, Brady’s Beach and Scott’s Bay are accessible by foot from the West Side, and the Coast Guard, Bamfield General Store, Boardwalk Bistro, and dock for the Francis Barkley are all on that side of the water. Any students or researchers who are working at BMSC can use the rowboats between 8:30 and 4:30. After-hours (but still daylight–no rowing in the dark) and weekend use requires a check-in person, whom you must contact before you leave with an estimated return time. That person is responsible for reporting a possible disappearance, so don’t be late and don’t forget to contact the person when you return. Row boats cannot leave the inlet, but inside of the inlet, where the water is calm and relatively unperturbed, it’s easy to cross or to row up the inlet all the way to the Boardwalk Bistro. Sign out one of the two rowboats, Loligo or Postelsia, providing the name of all people going across (max. 4 people), departure time, estimated return time, where you are going, and who your check-in person is, if it is after 4:30. This can be done on the sign out sheet at the dive shed in the North facing cubby. Grab Personal Flotation Devices (PFDs) from the closet next to the boat sign-out nook of the dive shed, distributing them for all members going across. Everyone MUST wear a PFD when down on the dock and when using the boats. Check that the boat you checked out has the required safety equipment: oars, a bailing device, a whistle, and line to throw out in case of a man overboard. Also check that oarlocks (where the oar fits into a holder on the boat) are tight and secure. Bail the boats if needed, such as if it’s been raining. Designate a rower: that person faces toward the aft (rear) of the boat and rows while facing backwards. As probably all of us have learned, rowing isn’t tricky but it isn’t easy either–the first few times, go out in good weather with knowledgeable partners in the boat, and practice turning and maneuvering. It’s useful to have someone facing forward to help direct you across, but otherwise find a spot on the shore opposite your destination and keep facing it. Untie the boat from the dock and pull the bumpers up inside the boat–otherwise you’ll continually be veering into a circle as you try to row in a straight line! Check for oars, a whistle, throw line, bailer, and that all boaters have PFDs. The front of the boat (stern) is the side that has the boat’s name on it. The one who is rowing will face away from the stern, toward the rear (aft) of the boat. Row out to your destination. Be careful when crossing the inlet–technically as a non-motor-powered boat you have the right of way, but it is wise and courteous to try to time your crossing so you don’t force other boats (and seaplanes!) to work around you. If you’re just going to the General Store, you can park the boat anywhere in the white spaces in front of the General Store dock (the “Store Dock” in this picture). If you’re going elsewhere, park the boat in the government dock (just to the right of the store dock in the picture). 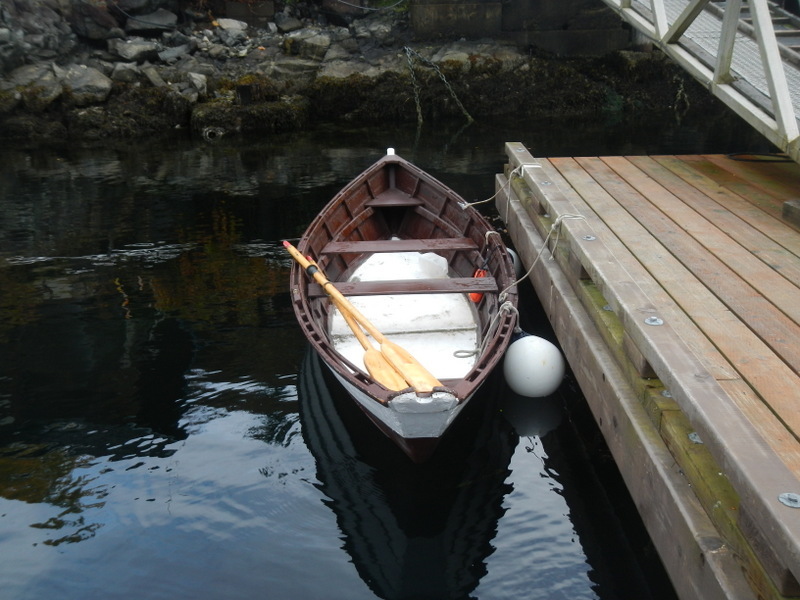 Throw the bumpers over the side and tie the boat up to the dock using a clove hitch followed by two half hitches. Follow that up with two half hitches and you’re done! The boat will be secure. Make sure that when you return, you tie up the boats in line with the white markers painted on the docks. This will ensure the two rowboats do not bump and damage each other if waves or swells come through. Clove hitches are in the correct place, overlapping the white painted lines on the dock. Return life vests and sign back in. Also, contact your check in person if you had one. Hooray! Now you have a quick reference to how to use the rowboats. Still, once you get to Bamfield for the first time, make sure to go out with someone who knows what they are doing first and check for any changes in boating policy. I hope you know what this means–you now have the ability to cross to the West Side for an ice cream cone!! I am sure you’re as excited about that as I was when I figured that out–see you there! P.S. This does not give you access to a free ice cream cone, just free access to getting across to buy an ice cream cone. Tricky wording? Maybe, but not if you read it carefully… It’s all in the word order.